Founded in 2003, Educa Language School has been one of the leading Language Schools in St Petersburg – the most beautiful and amazing city in Russia. Throughout years we’ve accumulated teaching experience and developed our own programs and approaches to meet each and every need and requirement of students in group, individual or corporate tuition as well as in general, professional or specific communicative areas. Our students come from all over the world and many of them come through personal recommendation, while some learners become regular Educa’s students studying at a higher level annually. Our team of highly professional tutors and friendly managers will do their best to make your Russian experience really unforgettable! We offer a wide range of study programs in mini groups (up to 4 people) suitable for all age groups and learning levels. In mini groups every student gets personalized attention. If you ask a question here it could always become a conversation between students and you will learn how to respond faster. Mini-groups allow us to adjust the course to every student’s needs. Each student speaks at least 60 % of the lesson. And gets a brand new information 40 % of the lesson. We focus on all areas of practical Russian: speaking, reading, writing and listening. The most attention is paid to the ability to speak in various real life situations. All new grammar and vocabulary items are practice in meaningful context through communicative tasks. Syllabi incorporate useful up-to-date high-frequency lexis. The Course consists of classic in-class lessons and outdoor lessons. After having learnt the language needed in class, the students get perfect opportunity to practice their skills outside school in real life situations – in streets, shops, cafes etc. The practice runs under kind and attentive supervision of the teacher which makes the students feel more comfortable and confident while communicating and consequently helps overcome the communicative barrier much faster. The Course also gives students a chance to explore Saint-Petersburg, one of the most marvelous and colorful cities of the world. This course will encompass a wide range of activities to develop basic language skills like reading, speaking, listening, and writing, combined with exercises to enrich one’s business vocabulary — from general terms to words specific to one’s field of work. 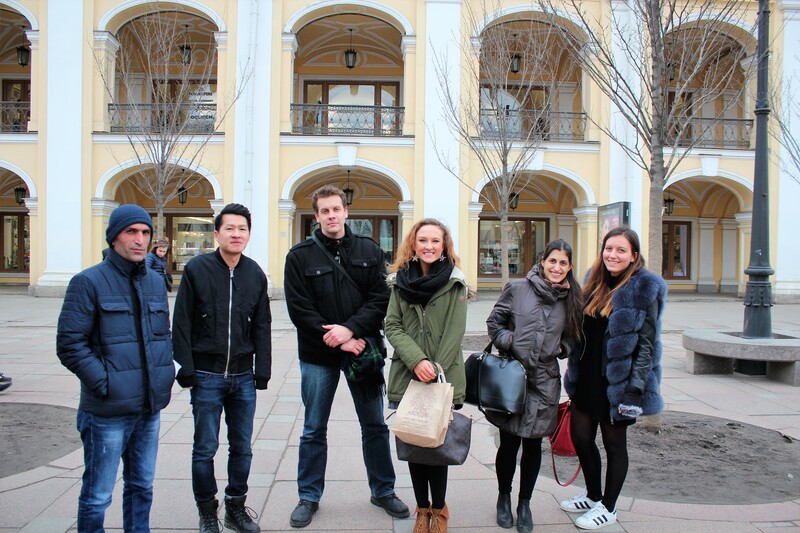 If you decided to visit Russia and stay here for more than 3 months, this course is the best option for you. The tuition program is close to General Russian Course where all 4 language skills are trained in the framework of Communicative Approach. The most attention is paid to the ability to speak in various real life situations. All new grammar and vocabulary items are practiced in meaningful context through communicative tasks. Our Expatriate Course of Russian will help you not only with successful communication but also with understanding Russians, their culture and life style. Classes are held in the evening two or three times a week therefore it will be comfortable for you of you work or study here. Our weekly social activities such as Speaking club, Cinema club, Friday parties will give you a chance to break the language barrier and meet new friends all over the world! We have a wealth of one-to-one courses on offer at all language levels. The one-to-one format enables you to benefit from full personal attention from your teacher. If you have specialized requests and wish to improve a particular skill or language area, one-to-one course is your best option. The course is continually adapted to your individual progress and requirements. With the teacher’s attention solely on person, the student is able to focus on his/her weaknesses and improve those trouble areas much quicker than attending group lessons. Host Family is usually the most popular type of accommodation where a friendly atmosphere allows a student to use Russian in a relaxed and natural way. Our carefully selected host families always have time to talk to students, are patient, understanding, attentive, and prepared to provide help with any problem that may arise during the student’s stay. Being treated as a member of a family gives the ideal opportunity to practice Russian in an authentic environment and experience firsthand Russian way of living. I had an amazing 4 weeks with EducaSchool and I assure everybody that this is the place you should enroll if you wish to study Russian language. Thank everybody for the prodigious experience. EDUCA language school is amazing! 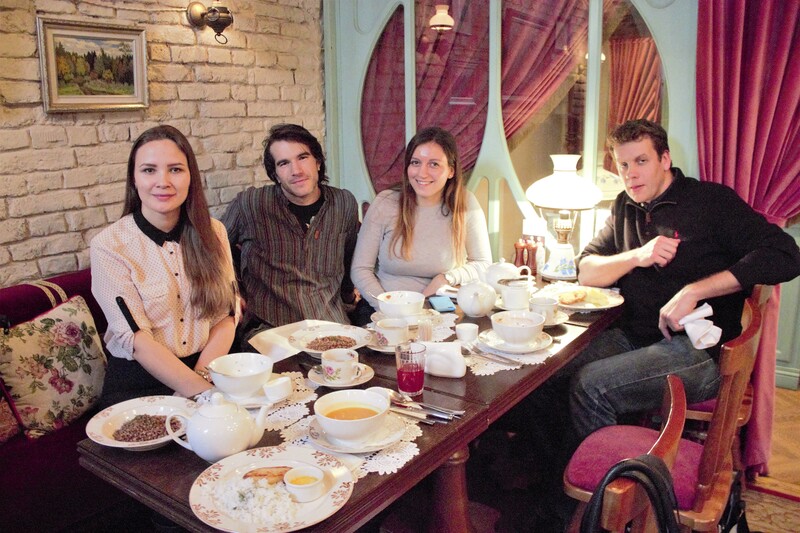 I came to St. Petersburg to learn Russian and their excellent teachers helped me a lot! My language skills have improved very much! I`m sure I went to one of the best language schools in the world! Absolutely recommended.